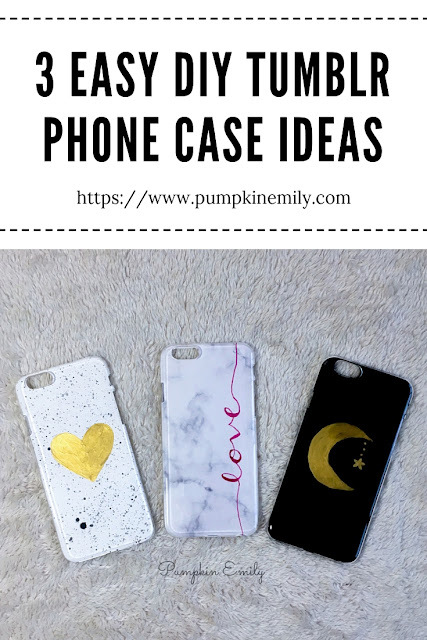 I've decided to make some more DIY phone case ideas! 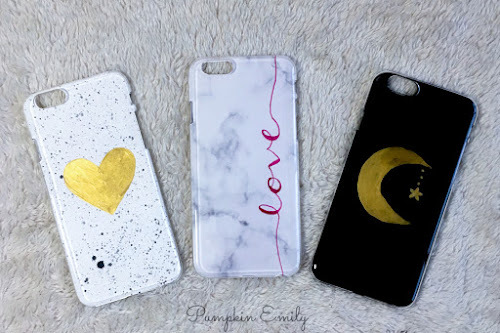 I'm going to show you how to make three Tumblr inspired phone cases. 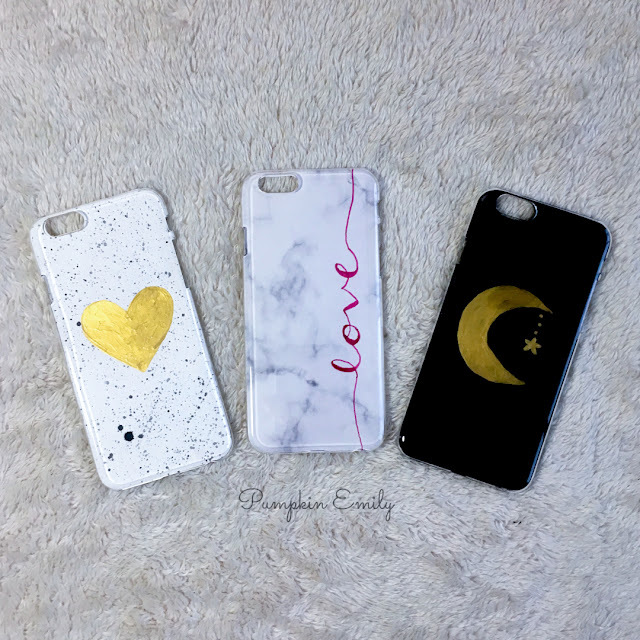 The phone cases I'll be showing you how to make are a moon phone case, a marble phone case, and a paint splatter phone case. In the comments down below let me know which one is your favorite. You can learn how to make these by watching this video! 1. 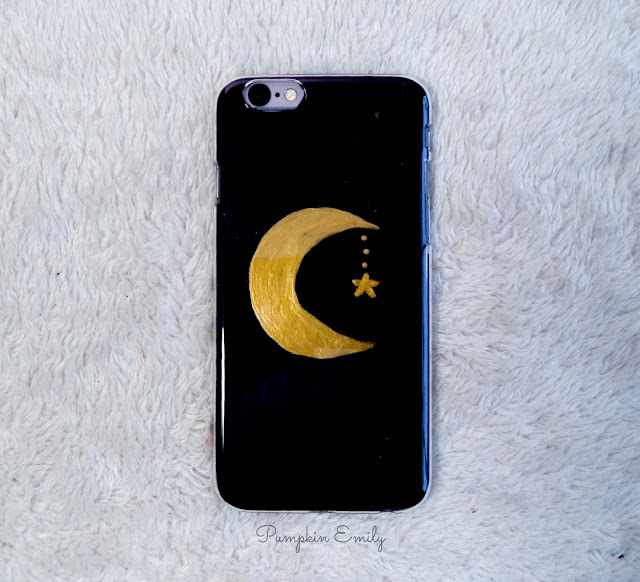 Trace the phone case onto the back of any color of cardstock paper and you want to cut that out. 2. Put the paper in the phone case and trace the camera hole onto the paper and then you want to cut the camera hole out with an x-acto knife or scissors. 3. Draw on a crescent moon with a pencil. You can use something circular to make the moon. I traced washi tape to make the moon. 4. Paint the moon in with any color of paint. I decided to make my moon gold. Something I decided to do but it's an optional step is that you can take a pencil and dip into the paint and make three more or dots coming from the inside of moon and below the dots you can paint a star on with a paintbrush. 5. When the paint is dry you can erase any pencil markings and then you can put it into the phone case and you're all done. 1. 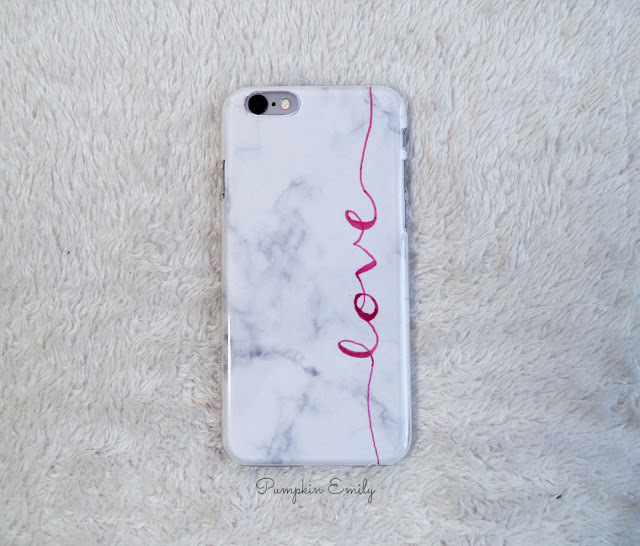 Print off a picture of marble onto paper and then you want to trace the phone case onto it and you want to cut that and the camera hole out. 2. Practice writing the word you want to use on a scrap piece of paper. You want to practice writing it in pencil first and then you want to write over it with a marker. I used a crayola supertip marker to make my word but you can use whatever you would like. I wanted to write the word love in cursive so I practiced writing that. 3. When you have an idea of how you want your word to look like you want to write the word on the marble paper in pencil and then you want to go over that with a marker. 1. Trace the phone case onto a piece of cardstock paper and then you want to cut that out and you also want to cut the camera hole out. 2. Before you start making the paint splatters you want to layout some newspaper or a scrap piece of paper over a big surface so you don't get paint on anything. You can also fold some pieces of paper and stand them up and use them as a barrier so the paint doesn't get on the wall or something else. 3. To make the paint splatters you want to water down some acrylic paint. 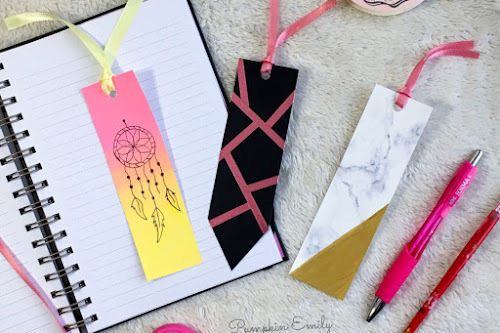 You can practice the paint splatters on a scrap piece of paper so you'll have an idea of how the paint splatters will look like and so you'll know if you need to add more water. Once you like how the paint splatters look wait for the paint to dry. 5. 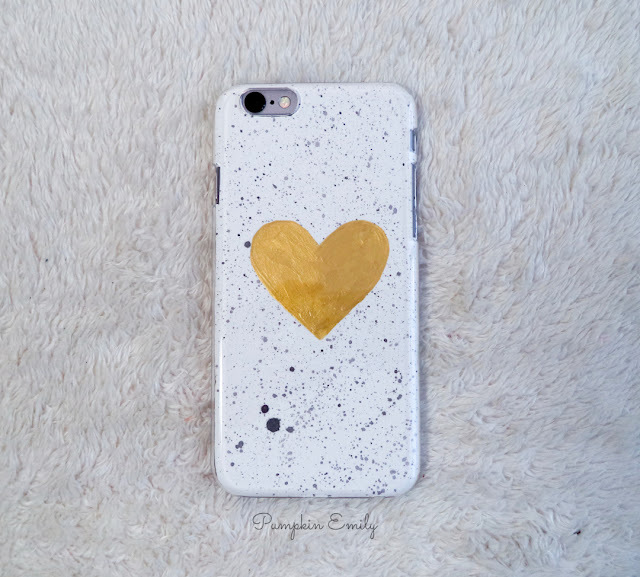 When the paint is dry you can draw a heart or another shape and then you can paint the shape in with one or more coats of gold or another color of acrylic paint. 6. Once the paint is dry you can erase any pencil marking and then you can put it into the phone case and you're all done. The result look amazing! I loved it!